No matter your role, as dental professionals, it is our responsibility to provide exemplary patient experience and care. In each episode of this dental podcast we will hear from experts on how to create a positive patient experience while simultaneously growing your practice. Grow Personally. Grow Professionally. Make A Difference. Patient Experience. Practice Growth. Dental Marketing. This dental podcast is all about the latest and greatest tips, tricks and techniques to create extraordinary patient experiences in your dental practice which then in turn drive practice growth. 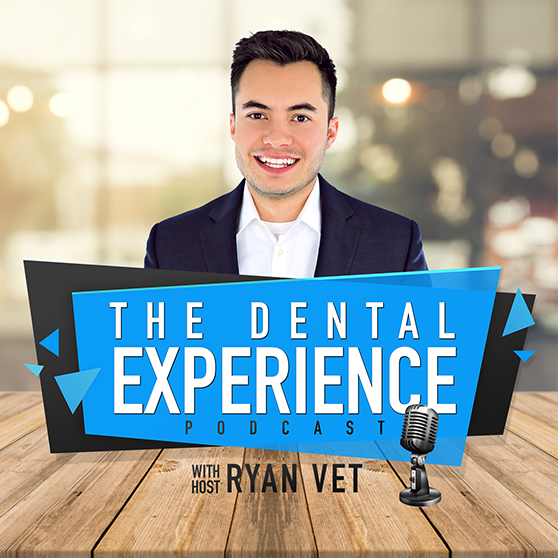 Whether you are just starting dental school or nearing retirement, whether you are a dental team member or you work in the industry, the Dental Experience Podcast explores concepts that are relevant to anyone touched by the dental field. The goal is to help you grow personally and professionally and as a result, create experiences worth sharing for everyone you meet. You want to spend your time listening to the best dental podcast you can, one where you feel inspired, energized and ready to make a difference. © 2018, Ryan Vet and The Dental Experience Podcast.